Recent research suggests that iron may have a protective effect against heart disease. These promising findings could pave the way for new treatments. Cardiovascular disease (CVD) is the leading cause of death among people in the United States, responsible for approximately 610,000 deaths each year. 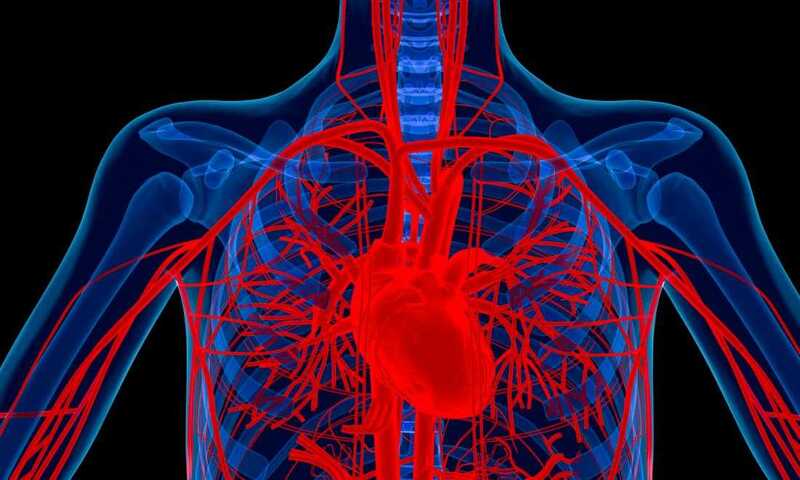 A team of researchers from Imperial College London and University College London, both in the United Kingdom, set out to examine the link between levels of iron in the body and the risk of developing the most common type of CVD: coronary artery disease (CAD). The findings were published in the journal Arteriosclerosis, Thrombosis, and Vascular Biology. CAD, also known as coronary heart disease, occurs when the flow of blood is blocked or slowed down and becomes unable to reach the heart properly. Often a consequence of atherosclerosis, which is the hardening of the arteries as a result of plaque buildup, CAD may lead to angina or even heart attack. It is currently estimated that more than 370,000 U.S. adults die as a result of CAD every year. Previous research has put forth the idea that levels of iron in the body may be linked to heart disease. But the studies that investigated this link yielded inconsistent results, with some of them suggesting that high iron levels can protect against heart disease and others indicating the exact opposite. The new research uses Mendelian randomization to investigate this link more closely. More specifically, the scientists - led by Dr. Dipender Gill, a Wellcome Trust Clinical Fellow at Imperial College London - tried to establish causality, examining whether or not iron status has a direct effect on CAD risk. "As our genes are randomly allocated before we are born, their impact on our systemic iron status is less affected by the lifestyle or environmental factors that can confound observational studies." Dr. Gill and team examined the genetic data of more than 48,000 people. Specifically, they focused on single nucleotide polymorphisms (SNPs), which are the most common sort of human genetic variation, in an attempt to identify those that indicated a low or high iron status. SNPs can serve as biological markers, enabling scientists to find genetic locations for certain diseases. Dr. Gill and his colleagues zoomed in on three specific points in the genome where an SNP can increase or decrease the level of iron in a person's body. The scientists then used the combined datasets from two meta-analyses, screening for these SNPs among a combined total of more than 124,000 people with CAD. The results confirmed the hypothesis that higher levels of iron reduce the likelihood of developing CAD. "These findings," the authors conclude, "may highlight a therapeutic target." As the authors explain, the results will next need to be validated in a randomized controlled trial - wherein some patients are given iron supplements and some are given a placebo - in order to see if supplemental iron intake protects against CAD. "We have shown that having low iron status increases the risk of coronary artery disease, but this doesn't mean correcting that resolves the increased risk. What we have highlighted is a potential therapeutic target that we didn't know about before, and one that's easily modifiable," says Dr. Gill.